More rain. Maybe I should have planted rice and cranberries this year, instead. Hand held, manual focus, AV mode, ambient light from overcast sky. 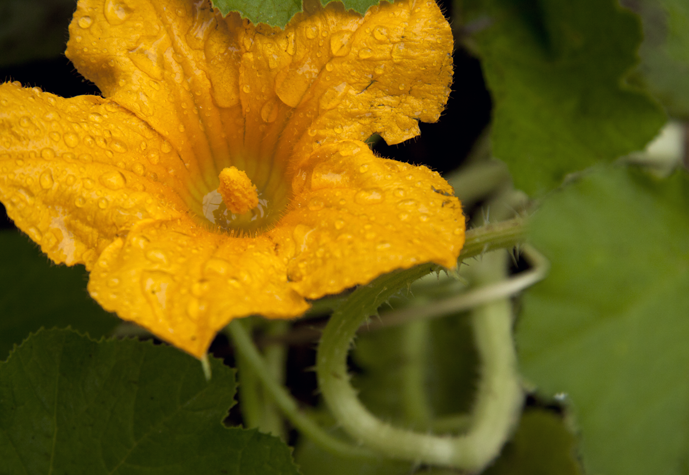 This entry was posted in Photography and tagged gourd blossom, nature photography, photography, postaday. Bookmark the permalink.